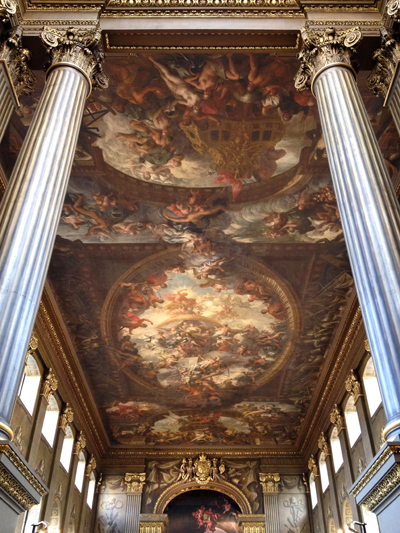 The Painted Hall at the Old Naval College Greenwich is one of Britain’s iconic interiors. James Mott looks at the ongoing conservation work to Thornhill’s masterpiece of interior decoration. Part of the ‘Greenwich Maritime’ world heritage site, designed over three centuries ago by celebrated British architects Sir Christopher Wren and Nicholas Hawksmoor, the Old Naval College at Greenwich boasts one of the most impressive collections of baroque style architecture in Britain. Situated under one of Wren’s recognisable domes is the Painted Hall. Artist James Thornhill was commissioned in 1708 to decorate the interior walls. It took 19 years for the artist and his team to finally complete the work, by which time it was decided that the spectacular interior was far too grand for its intended use as a refectory for pensioned seamen. Instead, the hall was opened to ‘respectable visitors’, who, after paying what was considered then, a small fee of 3d (about £1.80 in today’s money) were ably guided around the grandiose interior by the residents of the Royal Hospital. The Painted Hall quickly became one of London’s first tourist attractions in the early eighteenth century. In 1998 the Royal Naval College moved to Shrivenham and the Greenwich Foundation was formed to manage the site, conserve the buildings and open them to the public. 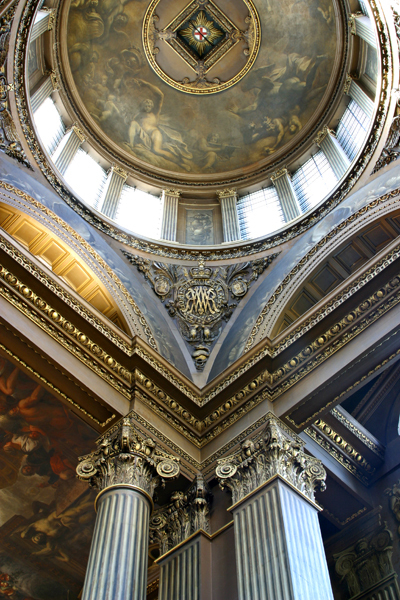 The artist James Thornhill, who also painted the interior of the dome in St Paul’s Cathedral, began his commission to decorate the Painted Hall in 1708. A talented artist, he showed remarkable skill in the use of trompe l’oeil painting and makes full use of perspective in his scheme. Trompe L’Oeil, pronounced ‘tromp loi’, means ‘deceive the eye’ in French and refers to the particular style of painting whereby the artist creates an illusion of space and paints an apparently three dimensional image on the wall within the context of the surrounding architecture. Painting directly onto dry plaster and working on what one can only imagine as a rather precarious scaffold, Thornhill was paid a modest £3 per square yard for the ceiling and £1 per square yard for the walls and amazingly was only paid on completion of the project! However, he later received a knighthood for his achievements and his legacy is the finest painted architectural interior by an English artist. Since the last restoration effort which was over fifty years ago, the painted interior has once again become dull and muted in appearance, mainly due to heavy deposits of accumulated dirt and dust. Intervention was therefore deemed necessary to gently remove the layers of dirt and to once again reveal the full splendour of the original paintings. Following fundraising by the Greenwich foundation and a £335,000 grant from the Heritage Lottery Fund, conservation work has now begun, starting with the West wall of the hall. Towering behind a replica printed screen of the painted west wall, is an 11 metre high scaffold complete with a staircase and viewing platforms for visitors to see up close the ongoing works. The conservation project is led by expert wall painting conservators Paine & Stewart. Detailed examination using non-invasive techniques, together with photographic and computer-based graphic documentation, were used to determine the nature, extent and condition of decorative schemes, as well as for planning, costing and recording treatment interventions. All interventions, such as consolidation, cleaning and reintegration are kept at a necessary minimal level to avoid any reduction of material and pictorial authenticity. Previous restorations, additions and over-painting are nowadays regarded as part of the history of the wall painting and are valued as evidence of past interpretations. Every inch of the artwork is to be painstakingly cleaned using cotton swabs and a simple aqueous solution containing 2% triammonium citrate. Apart from touching in the ‘white line’ seen on the inside edges of a crack, small cracks that have developed are left unfilled. Any touching in is done using traditional oil paints containing natural pigments and mixed on site. Seeing the conservation work up close, the cleaned artwork is truly remarkable; details come to life, definition is restored and the vibrant colours used centuries ago bring a life and depth to the painting that is magical. It is anticipated that it could take a further 5 years to complete the project. The Painted Hall project offers the unique opportunity to get up close to the conservation work in progress. Every Friday there are two scheduled guided tours onto the specially constructed viewing platform on the scaffolding tower in the upper hall. Visitors are able to get a behind-the-scenes look at the conservation process and see firsthand the expert conservators at work. There’s also a chance to go deeper into the history of the Painted Hall at one of the talks on the history of the conservation of the Painted Hall led by Thornhill expert Richard Johns and lead conservator Stephen Paine. The painted hall is open daily throughout the year from 10:00 – 17:00pm and admission is free. Spaces are limited on the tours and talks, so booking is recommended. Visit www.ornc.org for more information and online booking. Day by day and inch by inch, talented conservators are working diligently to gently remove the layers of dirt and grime which for so many years have obscured the vivid imagery beneath. Very soon, the Painted Hall will be restored to a condition comparable to when Sir James finally stood back and admired his finished work of art. Thanks to modern conservation techniques, for the first time in centuries we will be able to see Thornhill s masterpiece in all its breathtaking splendour. I can’t wait to see it. James Mott is a conservation specialist with over 25 years experience working in the heritage sector as a skilled craftsman, contractor and consultant. He is the founder of ProjectBook which recognises and raises awareness of conservation professionals working in the built heritage sector.  He oversees ProjectBook’s operations including offering technical help & advice, publications, courses and events.